After 5 whole months in development, the thing you've been waiting for (I presume some of you were waiting for this) is finally here! 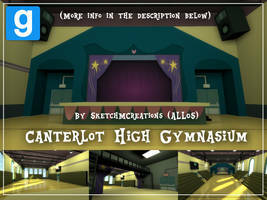 Canterlot High School, the map! The kids love this one. 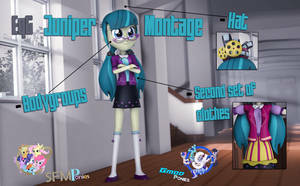 An ambitious project after no one else would take the torch, (though I am aware at least one other person is making a canterlot high recreation of their own) I bring to you my own recreation of Canterlot High from the Equestria Girls movies! 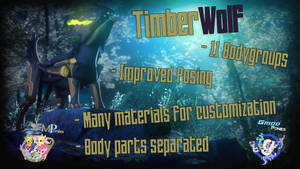 Usable in both Garry's Mod and Source Filmmaker, like the maps before it. But hey, before you go slamming that Download button, lemme clue you in a bit on the features going on in this map, because it's a li'l important this time around. - DIY Classrooms; the known, important rooms from the films don't nearly completely fill out the number of classrooms available in the building; there is a total count of 58 classroom spaces, inclusive of the known established rooms. Not counting those, there are 52 empty classrooms and 2 pre-decorated classrooms. 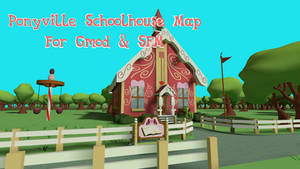 Included in this download is a basic pack of props from the map to decorate the blank classrooms as you please; as well, some of the classrooms have see-through windows on their doors for that extra touch of detail, inclusive of the entire west half of the third floor. And, as well, the third floor is also taller and has lots of windows in the outer halls, if you desire such an environment for your scenebuilding purposes. 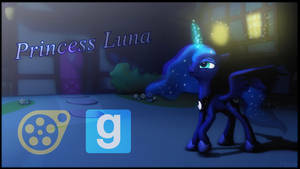 - Smaller miscalleneous details include being able to open the trophy cases in the lobby (with use of the context menu or some other unlocking/opening apparatus), toggling the up/down state of the blinds on Luna's window (no dynamic light changes included), access to the roof via the library, and the same general room controls the gym had in the beta map. - Evening and Nighttime variants; this mainly only changes the outside of the building, the library, and the two frontmost corridors in the side wings. The Daytime version is the one true complete version, however. 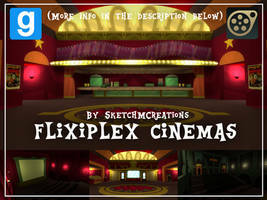 - Layout maps of each floor are also provided in the download as nice, crisp .png files. Now, this is quite a big map, and a lot went into making it as accurate as sanely possible. But, well, that comes at a bit of a price; there are a lot of empty classrooms due to me nearly overloading the map file and breaking everything, several times. But, since there aren't that many individual special locations to begin with, that opens up all the more scenebuilding potential for some of you out there! It also kind of detracts a little if you just want to explore or RP or something, but, well, prices to pay and all that. You can just hang around in the established areas if that's the case for you. And, unlike the last few maps, this map was a collaborative effort, so as to get it done better and more efficiently than it would have been should I have worked alone the entire time. Friendship is magic, huh? Some directly contributed to the project, while I credit others for use of their models and hope they're totally okay with me using them. 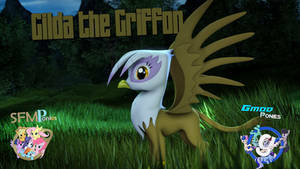 - Sig Hoovestrong I needed some MLP-styled trees, and you had just what I needed. Hopefully you're okay with me using these! - Captain_n00bva for making the original Killing Floor 2 map that inspired me to start this one. Because while a Great Resemblance is good and all, it's simply not enough. We needed to go deeper. So. Development of CHS is finally done. Well, for the most part, in the event some detrimental bug is found somehow or else my packing tool failed to pack in a certain material. Regardless, that's that endeavor finally done. Though, that does not mean I am done making maps to post here; if you buy me a cuppa cocoa on Ko-Fi (button below), I can do map requests for you. Context may apply. For now, I hope you enjoy the work that I and several other people (but mostly me) slaved over for several months to bring it to you. Thanks for bein' here. Click here to download the map. Let's help Twilight win the crown in a battle of the bands so we can find those pennants for the Friendship Games and brag about our victory at Camp Everfree, shall we? you read that description, right? i know it's a bit wordy, but that's all the important pertinent information you could need going into this. get those reading glasses on! also, since i had to outsource the download link for this thing, i can't see a counter for how many people have downloaded the map. so it would be cool if you left a comment after downloading so i'd know! 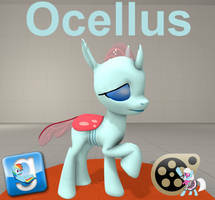 Also may as well mention, someone uploaded a file download of just the maps on PonySFM if you don't want the prop pack bonus or don't like Google Drive. Buy me a cup o' cocoa! i know its for sfm and gmod, but is there a fbx, obj or anyway i can open it in blender? No, because the map itself was not made in a 3D modelling software, it was made in the Hammer Level Editor, which only creates maps for Source Engine games. You can't just stuff a .vmf file into another program and expect anything to happen. 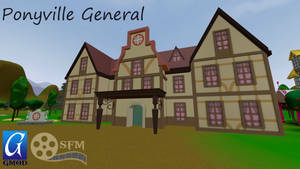 Why not make an MDL.FILE of the School Building aswell? Because that's not how Hammer works. Is I Found out. So I Give up. One set, via the first movie. Found adjacent to the cafeteria on the east side of the school. 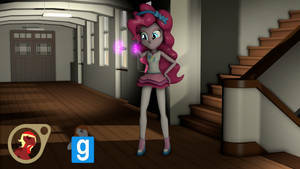 In Gmod or SFM? And did you try a second time for any of them? Well, it's a particularly heavy map. There's a chance your computer can't handle it. Otherwise, if your computer is moderately strong, it may just be a clientside problem. hello, could you help me? 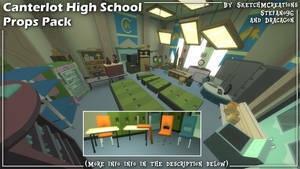 Can you throw off me to drop the high school one file as a mod for SFM, or 3-4 files as a map. I like your work, but when I download to the program with which I'm working, not all the details are uploaded because of the restrictions on the polygons. I would be very grateful if you at least answered me. Do you have rendering of Other Entities turned on? in the SFM everything works, it's not a problem, I'm trying to open it in another program, but because of the large number of fields in that program, not everything is opened, if you know the program Crafty? can that that you will advise? I've never heard of Crafty. 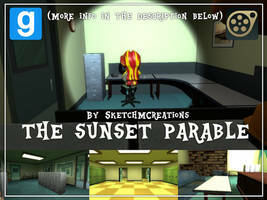 This map is only made for Gmod and SFM, and it's unadvisable to try and use it with anything else, as aside from the low-to-nothing compatibility, the map internally is a massive mess and is likely not worth whatever time you were about to spend on it doing whatever. ok, I'll think of something, if I have to hand it out. And if not a secret in which program this map was created? You can only make Garry's Mod/Source Filmmaker maps in the Hammer level editor, which is the tool Valve themselves used to make their games like Portal 1 and 2, Half-Life 2, Team Fortress 2, and so on. If you're doin' something shady with my map without specifically asking permission first, I'd like it if you stopped whatever it is you're doing. Or if you at least told me what it is you're actually trying to do. 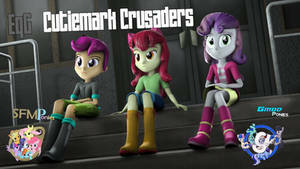 We are waiting for the model of the classic Equestrian Canterlot. First 'a all, a map is not a model. Second o' all, I'm pretty sure there's already a Canterlot map or two. There are, but not quality. And realistic in free access were not issued. Well, Canterlot is a very sprawling sort of area, with a lot of bits and bobs we don't see, and not every relative position in relation to other things is shown. 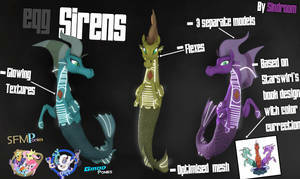 And as well there's the distinction between Canterlot as seen in the show, and Canterlot as seen in the movie, both of which are quite different. So unless somebody wrote out a well-executed layout plan, there's no chance in Tartarus I'd be able to do a map of Canterlot. And that doesn't even touch on the fact that the city is literally on the side of a mountain, so such a mountain would have to be made (likely as a model) and made to coincide and connect with the town properly. And don't even get me started on the skybox, since being a mountainside city, you could see a lot below if you went to the edge of town. All in all, that's a heavy load that a single person like me would have quite a bit of trouble with. Heyoo!!! 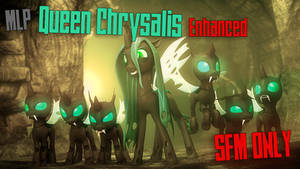 I'm trying to make a Changeling Zombies sfm video and gamemode for Gmod and I could really use your map. I was wondering if I could give it a creepy makeover to feel abandoned, or like hell like Alcatraz Island from Mob of the Dead on COD Zombies? With your permission,I would like to proceed. Blokeski. You can do whatever you want within the map, as long as you give credit to me somewhere. And don't spam multiple comments like that, consolidate just the important information to a single comment, okay? 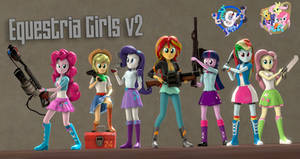 Downloaded, and thank you for the text file, as someone like me is still very new to Gmod like four days in new. Used it Twice actually, once for a crappy little parody film (the outside of the school) found here: www.youtube.com/watch?v=kjA10i… and to make a picture to tease a Pone friend of mine: looking forward to seeing the rest of the creations for gmod by you. 's how it was in the old days, man, before there were any workshops. Had to download and place everything manually. *chuckles* Well the note card helped a utter noob like me and it was much appreciated. 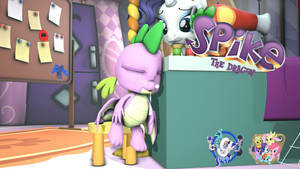 I have plans to at least tackle Twilight's lecture room, I'll give you that. I also took nearly all my vehicle addons and managed to fill the parking lot (with spaces left intentionally blank for a little realism). Well, in all my studies of the school building, there really was no way for them to be possible in the first place. At the very least Celestia's office is located in a position where it is completely impossible for it to be bordering an outer wall of the building, as conjecture shows it to be adjacent to the lobby, on the inner hall on the left. And it isn't possible for it to look out into an inner courtyard either, and asides, CHS isn't quite fancy enough to have one of those. 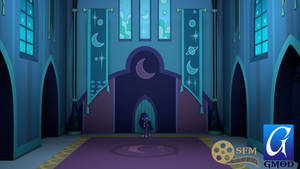 Luna's office follows suit given it is placed symmetrically across the foyer from Celestia's office. You gonna upload this to steam? Likely not. Nor do I give anyone permission to do so in my stead. I'd rather it just stay here. It's just the school. It's listed as a gm_ map, which just indicates sandbox. Whatever you choose to do within it are choices of your own. I originally intended to only use this account for botting and nothing else... but some things are just way too awesome to not comment on them. This easily fits into that category! "i can't see a counter for how many people have downloaded the map. so it would be cool if you left a comment after downloading so i'd know!" For example Mediafire have one. Eh, I don't want to trust Mediafire with this thing. Nor would I want to clog up a Dropbox. just out of curiousity: is there a way to convert the files into a format which is supported by other 3d applications as maya or unity? outstanding project you did here, kudos!